Save the date! Saturday, November 11 we’re hosting Longing for a Longarm event with special guest and BERNINA Educator, Betsy Carlson! Experience the fabulous BERNINA exclusive features first hand at our Longing for a Longarm Event! 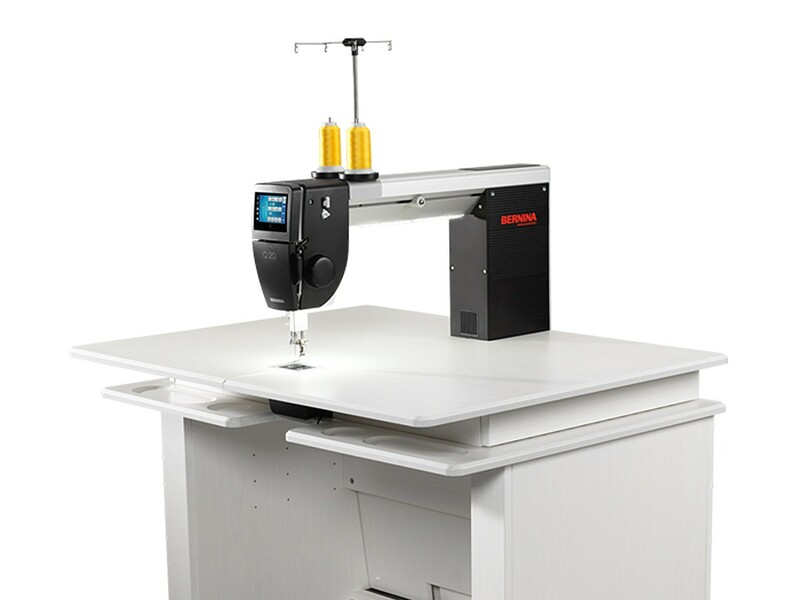 Join us to learn more about the BERNINA Q24 Longarm and the Q20 table model and how you could have a longarm machine in your own home. 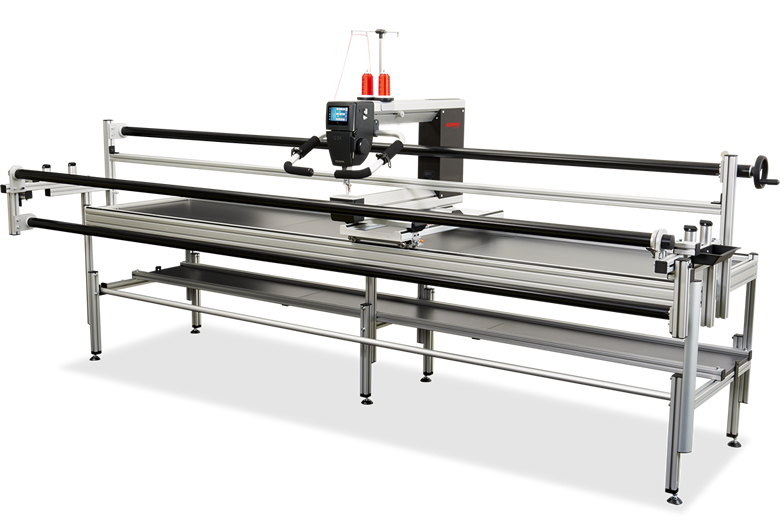 Check out the Modern Domestic longarm classes for regularly scheduled longarm events. At Modern Domestic, we hope to be a supportive quilting community that helps you finish your quilts, your way. You may have found yourself picking and choosing which quilts should be finished on your domestic machine versus sent to a longarm quilter. The BERNINA Q Series Longarms allow you to finish the creations you’ve started yourself! Let your creativity take you to the finish line by quilting your own quilts. Every quilt deserves to be quilted, don’t you think? You invested in the fabric, and your time. Now you can enjoy using that beautiful quilt instead of storing tops. Interested in an at home business? Start quilting for others. Modern matchstick quilting is a breeze with optional channel locks. Q-Matic automation offers hundreds of included designs, or create your own. Execution on the longarms is accessible and exciting! 0% interest financing is always available – contact us for details! Apply for BERNINA financing here. For our Longing for a Longarm Event on November 11. I’m interested in the long arm demo. What time is it? Hi Amy! You can register for this longarm event on our website here. There is a morning session from 10:00 – 1:00 and an afternoon session from 2:30 – 5:30. If you’d like more information please don’t hesitate to call or stop by the shop!